Welcome to the Respiratory CASES webpage. We hope you will find the links and video educationally useful and relevant. 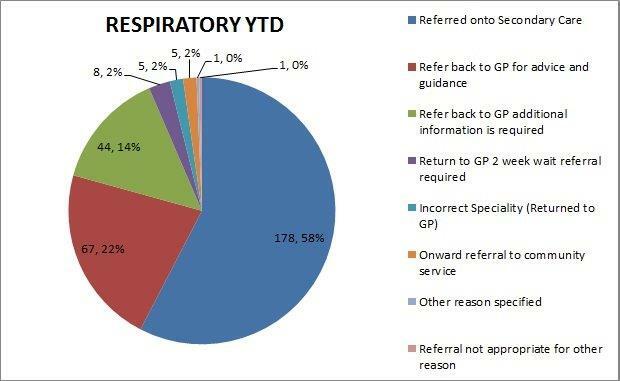 The Pie chart shown below represents the breakdown of respiratory referrals received into CASES from the Pilot launch until 31 January 2017. Around 22% of the referrals were sent back to practices with advice on management that can be carried out in primary care. A further 14% were sent back to practices asking for more information to be included in the referral letter before sending on to secondary care. Dr Scot Darling and Dr Jim Lee are peer reviewing GPs for respiratory. They are supported by advice and mentorship from Dr Rod Lawson and Dr Charlie Elliot, Consultants in respiratory medicine at Sheffield Teaching Hospitals NHS Foundation Trust. 1) The Primary Care Respiratory Society UK (PCRS-UK) is the UK-wide professional society supporting primary care to deliver high value patient centred respiratory care. It produces several resources to support healthcare professionals in the delivery of respiratory disease management in primary care. 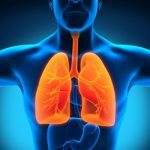 This is a comprehensive e-learning course that provides primary care practitioners with an overview of the common respiratory problems seen in primary care. It explores the prevention, presentation, diagnosis, assessment and ongoing management of common respiratory disorders and the promotion of respiratory health. It can be accessed here. This is free to RCGP members, fellows or Associates-in training. All healthcare professionals can register for a RCGP eLearning account, which provides free access to few selected RCGP courses. 3) The British Lung Foundation has published a new booklet, endorsed by the RCGP, to help guide and support people living with chronic obstructive pulmonary disease (COPD). 4) PRESS PORTAL on the CCG’s website has got extensive updates on COPD and other long term respiratory conditions. Causes of chronic cough include Asthma, post-nasal drip, GORD and iatrogenic causes (including ACE inhibitors).) Exclude Red Flags (haemoptysis, wt loss, fever) Refer if these are present. Exclude above conditions or if suspected give trial of treatment before referral. If these conditions are not considered relevant and the patient has normal CXR, spirometry and examination then laryngeal hypersensitivity remains the most probable cause and it is reasonable to reassure the patient but repeat CXR and spirometry after 6 months to exclude new developments. Causes of chronic wheeze. Look for specific respiratory causes of wheeze first using serial PEFR and spirometry. Reflux is a common cause of wheeze. Where a respiratory cause is not identified give a trial of treatment of GORD with Lansoprazole 30mg bd, Ranitidine 300 mg nocte and alginate qid for 2-3/12. When stopping ACE inhibitors for persistent cough it can take up to 2/12 for the cough to resolve. Do not refer stable asymptomatic pleural plaques. Refer if respiratory symptoms (pain, breathlessness, symptoms suggesting neoplasia or pulmonary restriction found on spirometry.) Asbestos related pleural plaques have no functional consequences and are not predictive of future complications. They confirm asbestos exposure. However, they don’t predict future asbestos related lung disease (asbestosis, mesothelioma and lung cancer). In other words if you have been exposed to asbestos then you are as likely to get any of these clinically important diseases whether you have or have not got pleural plaques. Snoring – for suspicion of OSA confirm symptoms are suggestive and Epworth Score >11, baseline bloods have been checked and patient has been advised not to drive if they are an HGV/PCV driver or their condition affects their ability to drive safely. Use the referral template on PRESS portal to distinguish whether an ENT or Respiratory referral is appropriate. Poorly controlled asthma may be due to poor inhaler technique. Check that the appliance is appropriate for the patient. MDI inhalers require less respiratory effort (but better co-ordination unless used with a spacer) than DPI inhalers, which need fast inhalation. Useful information can be obtained from spirometry with reversibility and peak flow diary for up to 4 weeks along with baseline bloods and CXR in the last year. If there is a suspicion of Occupational asthma, request serial peak flows on 3 consecutive days at work and also on 3 periods way from work, each for 3 consecutive days. Breathlessness: consider cardiac, haematological, thyroid and other non-respiratory causes. Ideally check ECG, CXR, spirometry and blood tests, O2 SATS and NTproBNP before considering referral. Sputum culture and sensitivity should be obtained for patients with productive coughs to accompany referrals as part of the routine suggested investigations on PRESS portal i.e. CXR, spirometry, O2 SATS, FBC, U+Es. Restrictive disease found on spirometry. Pulmonary nodules <3cm have multiple causes. Incidental finding of pulmonary hypertension can be referred to the Pulmonary Vascular Disease clinic. Refer unexplained or disproportionate pulmonary hypertension. Severe COPD will always be associated with some pulmonary hypertension. Left sided heart disease (especially mitral valve disease) will also cause secondary pulmonary hypertension. In all these cases treatment is of the primary cause and there is no need for further investigation or treatment of the pulmonary hypertension itself. 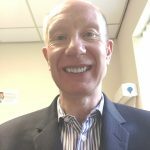 Dr Lee completed his undergraduate and VTS training in Sheffield and is a partner at Nethergreen Surgery. He has recently returned from sabbatical in Australia and is looking forward to helping improve patient care in an ever-changing NHS. A member of the Primary Care Gastroenterology Society, he looks forward to being involved with the educational and service improvement opportunities that CASES provides. Dr Darling qualified from Sheffield University in 1989. 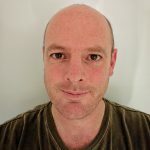 He worked in partnership in the city for 15 years and obtained Membership of the Royal College of General Practitioners in 2004. Since then he has been a sessional GP. He is a medical student tutor and GP appraiser. Dr Darling has a special interest in medico-legal work.